The present pilot station naval equipment consists of 6 launches. 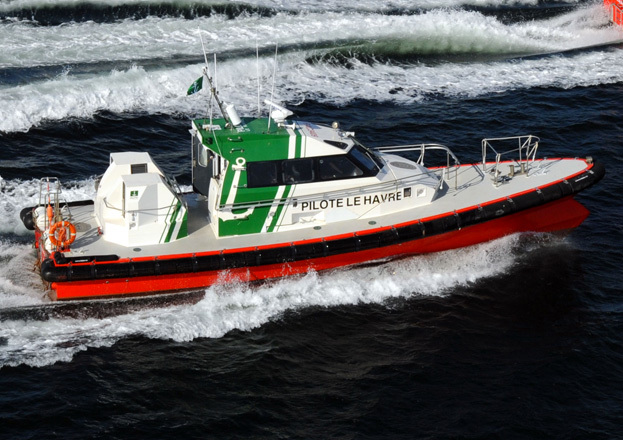 This arrangement was put into place in the 80′s and allowed for the replacement, at the time, of the pilot service vessel. 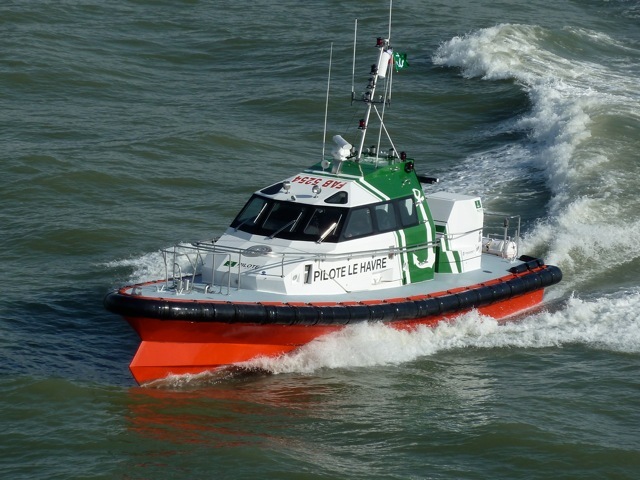 This modern fleet has enabled us to offer a fast, economic and efficient service to vessels in almost all weather conditions. 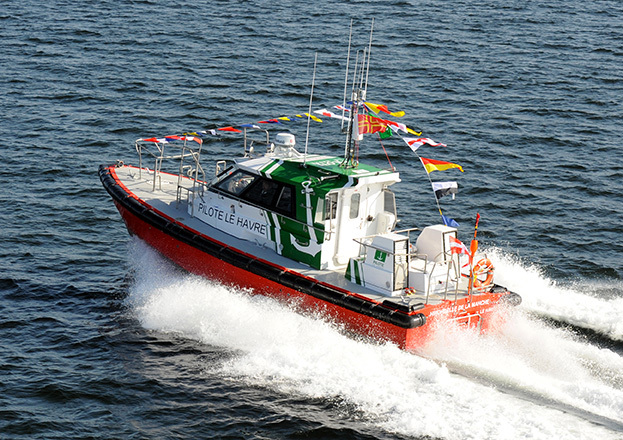 Each launch is fitted with an AIS receiver connected to an electronic chart supplyed by Transas Navisailor. 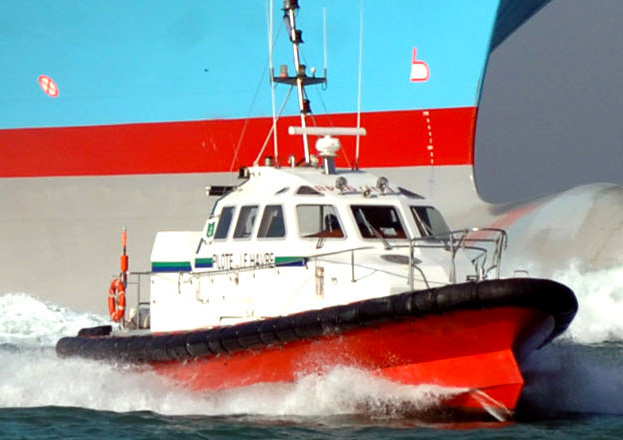 This equipment enables the pilot to watch the ship he joins and the traffic in the vicinity. Two launches are on permanent duty. They are each crewed by two people (a skipper and an AB/mechanic) in order to ensure the safe boarding and disembarkation of pilots. 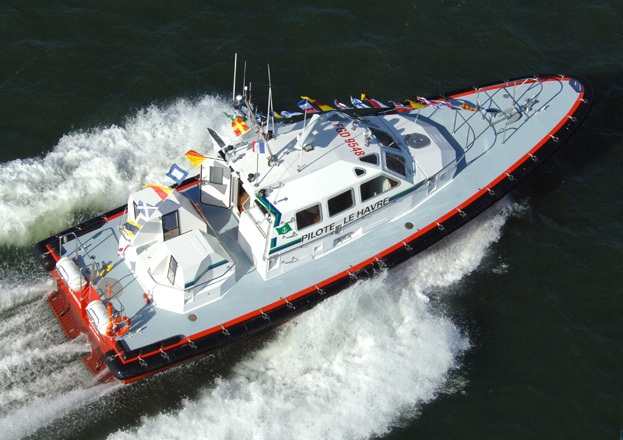 Maintenance of the boats is taken care of by our personnel in our workshop located in a building adjoining our headquarters. For the last 10 years the station has set itself the challenge of standardising its naval equipment. Thus, every lauch have same engines and the last four have same hull design. It enables an easier maintenance and a reduction of spare parts. Our lauches have been runnig at economical speed since 2004. This speed reduction enables less consumption and less CO2 emission. 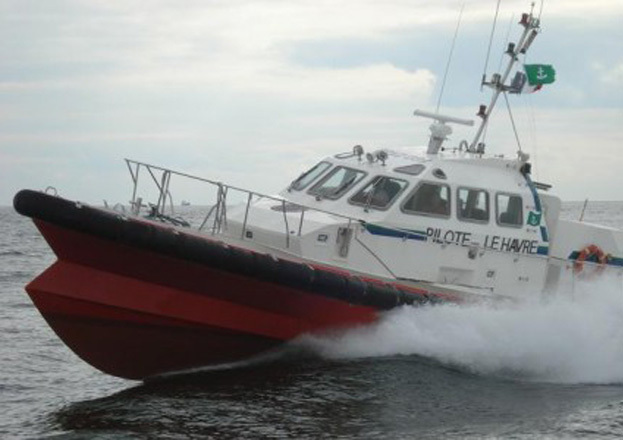 The present pilot station naval equipment consists of one boats. This boat is the ROLLON. 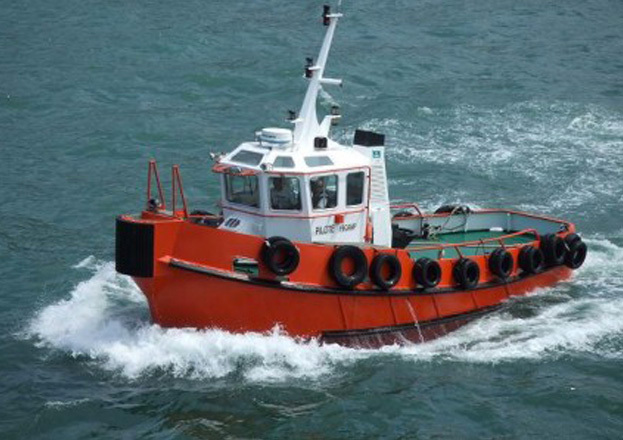 With a hardy design and fitted with a towing hook, she is used as a small tug.